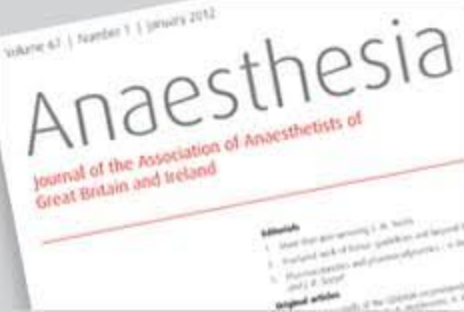 This article reviews some of the key topics and challenges in quality, safety, and the measurement and improvement of outcomes in anaesthesia globally. It highlights current areas of concern and potential solutions in a systematic way, where healthcare system is viewed from three different levels: the microsystem or patient and individual clinician perspective; the meso or hospital perspective; and the macro or government and policy perspective. 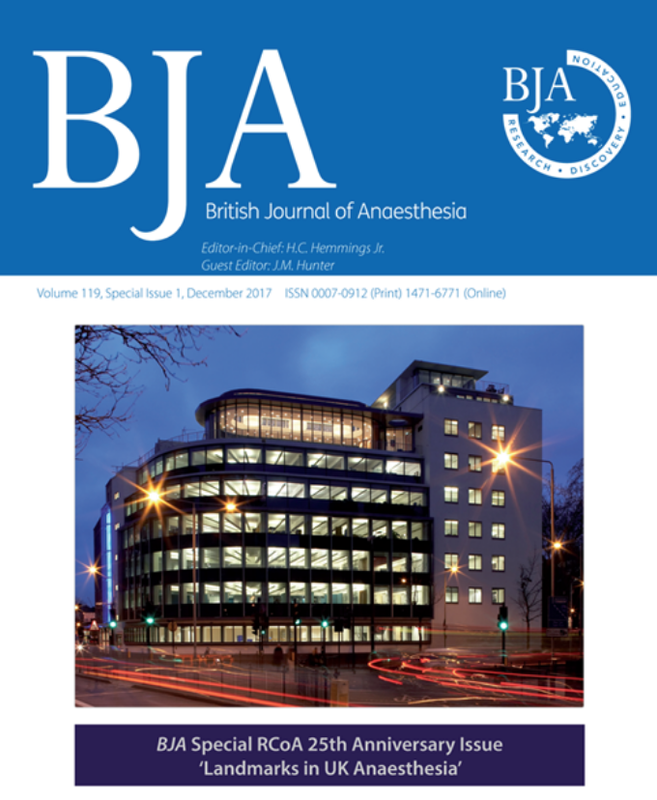 The article celebrates the successes of the specialty of anaesthesia in improving the quality, safety, and outcomes for our patients, and looks into future developments, including greater use of technology and patient engagement. Patient experience is one of the three pillars of quality in healthcare; improving it must be a key aim if we are to make the overall quality of the healthcare we provide better. We devised a quality improvement project to improve the patient experience of elective surgery. We conducted surveys of patients and assessed their experience by using semistructured interviews and patient questionnaires. We gathered data about their overall satisfaction, fasting times and their communication with staff. We used this information to inform strategies aimed at improving patient experience. This project increased the percentage of patients reporting an ‘Excellent’ or ‘Good’ experience from 65% to 96%. In addition to improving our patients' experience, our project has also delivered shorter waiting times, better dissemination of information and fewer patients reporting hunger or thirst. Patients with liver cirrhosis undergoing liver transplantation have a hyperdynamic circulation which persists into the early postoperative period making accurate assessment of fluid requirements challenging. Goal-directed fluid therapy (GDFT) has been shown to reduce morbidity and mortality in a number of surgery settings. The impact of GDFT in patients undergoing liver transplantation is unknown. A feasibility trial was designed to determine patient and clinician support for recruitment into a randomised controlled trial of GDFT following liver transplantation, adherence to a GDFT protocol, participant withdrawal, and to determine appropriate endpoints for a subsequent larger trial to evaluate the efficacy of GDFT in patients undergoing liver transplantation. Sarcopenia is the degenerative loss of core muscle mass. It is an aspect of frailty, which is associated with increased rates of peri-operative harm. We assessed the association of the cross-sectional areas of abdominal muscles, including psoas, with survival during a median (IQR [range]) follow-up of 3.8 (3.2-4.4 [0.0-5.1]) years after scheduled endovascular (132) or open (5) abdominal aortic aneurysm repair in 137 patients. In multivariate analysis, mortality hazard (95%CI) was independently associated with: age, 1.06 (1.01-1.13) per year, p = 0.03; and the adjusted area of the left psoas muscle, 0.94 (0.81-1.01) per mm2 .kg-0.83 , p = 0.08. Shortened hospital stay was independently associated with haemoglobin concentration and adjusted left psoas muscle area, hazard ratio (95%) 1.01 (1.00-1.02) per g.l-1 and 1.05 (1.02-1.07) per mm2 .kg-0.83 , p = 0.04 and 0.001, respectively. The alterations in coagulation and hemostasis that accompany liver disease are complex, and while patients with this disease have traditionally been perceived as having a bleeding diathesis, it is now understood that in stable patients hemostasis is "re-balanced." Hepatic surgery, and particularly liver transplantation, can be associated with large fluid shifts, massive bleeding, and coagulopathy, as well as postoperative thrombosis. Point-of-care tests (POCTs) of coagulation facilitate goal-directed treatments and hemostatic monitoring in dynamic environments where the coagulation status can alter rapidly and often unpredictably. POCTs reflect more accurately the re-balanced hemostatic system than do conventional coagulation tests (CCTs). Viscoelastic POCT-guided transfusion algorithms permit a reduction in blood product administration and are a key component of patient blood management programs. Moreover, viscoelastic POCTs are better able to identify patients with hypercoagulability than CCTs. With thrombosis increasingly recognized to be a problem in patients with liver disease, POCTs hold promise for both individualized bleeding and thrombosis management. 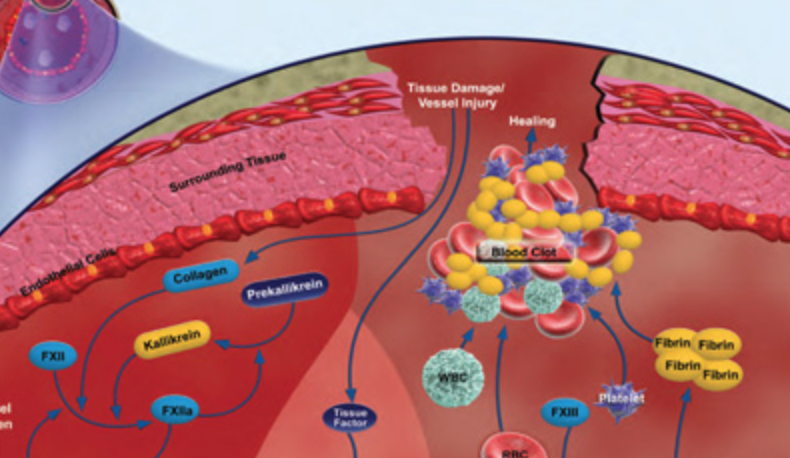 Balanced haemostasis is dependent on the complex interaction of procoagulant and anticoagulant factors, fibrinolytic proteins, platelets and vascular endothelial component. The liver plays a key role in coagulation and as such chronic liver disease can have a profound impact on the interplay of these components. The net result is a fragile rebalancing in the haemostatic profile of liver disease patients as a result of decreased synthesis of both pro and anticoagulant factors. However, due to the reduced haemostatic reserve, this balance can be easily tipped into a thrombotic or bleeding state. Conventional coagulation tests such as PT/INR reflect only the decreased synthesis of pro-coagulant factors and do not adequately reflect the bleeding or thrombotic risk in these patients. As a consequence, an intrinsic hypercoagulable state is often underestimated in patients with liver disease. Point of care tests, specifically viscoelastic tests, can illustrate the haemostatic changes that are seen in liver disease and guide clinical management supporting the use, or indeed avoidance, of blood products. SCurrent literature describing bleeding risk in thrombocytopenia and cirrhosis does not take into account the impact of fibrinogen. The minimal platelet count to form a clot with normal strength is unknown, and would be influenced by fibrinogen. Viscoelastic testing, particularly maximum amplitude (MA, thromboelastography) or maximum-clot-firmness (MCF, thromboelastometry), reflects platelet-fibrinogen interaction and allows assessment of clot strength. Low platelet count and low fibrinogen levels lead to low MA/MCF and correlate strongly with increased bleeding tendency. Assessment of platelet count alone does not accurately predict bleeding, but is useful in conjunction with other indices such as clauss fibrinogen and MA/MCF. To investigate the additional clinical impact of hepatic ischaemia reperfusion injury (HIRI) on patients sustaining acute kidney injury (AKI) following liver transplantation. This was a single-centre retrospective study of consecutive adult patients undergoing orthotopic liver transplantation (OLT) between January 2013 and June 2014. Early AKI was identified by measuring serum creatinine at 24 h post OLT (> 1.5 × baseline) or by the use of continuous veno-venous haemofiltration (CVVHF) during the early post-operative period. Patients with and without AKI were compared to identify risk factors associated with this complication. Peak serum aspartate aminotransferase (AST) within 24 h post-OLT was used as a surrogate marker for HIRI and severity was classified as minor (< 1000 IU/L), moderate (1000-5000 IU/L) or severe (> 5000 IU/L). The impact on time to extubation, intensive care length of stay, incidence of chronic renal failure and 90-d mortality were examined firstly for each of the two complications (AKI and HIRI) alone and then as a combined outcome. Out of the 116 patients included in the study, 50% developed AKI, 24% required CVVHF and 70% sustained moderate or severe HIRI. Median peak AST levels were 1248 IU/L and 2059 IU/L in the No AKI and AKI groups respectively (P = 0.0003). Furthermore, peak serum AST was the only consistent predictor of AKI on multivariate analysis P = 0.02. AKI and HIRI were individually associated with a longer time to extubation, increased length of intensive care unit stay and reduced survival. However, the patients who sustained both AKI and moderate or severe HIRI had a longer median time to extubation (P < 0.001) and intensive care length of stay (P = 0.001) than those with either complication alone. Ninety-day survival in the group sustaining both AKI and moderate or severe HIRI was 89%, compared to 100% in the groups with either or neither complication (P = 0.049). HIRI has an important role in the development of AKI post-OLT and has a negative impact on patient outcomes, especially when occurring alongside AKI. Anemia is common in elective surgery and is an independent risk factor for morbidity and mortality. Historical management of anemia has focused on the use of allogeneic blood transfusion but this in itself is not without risk. It too has been independently associated with morbidity and mortality, let alone the costs and relative shortage of this resource. In recognition of this, patient blood management (PBM) shifts the focus from the product to the patient and views the patient's own blood as a resource that should be conserved and managed appropriately as a standard of care. It consists of 3 pillars: the optimization of red blood cell mass; reduction of blood loss and bleeding; and optimization of the patient's physiological tolerance toward anemia. Integration of these 3 pillars in the form of multimodal care bundles and strategies into perioperative pathways should improve care processes and patient outcome. Preoperative anemia is most commonly caused by functional iron deficiency and should be treated with oral iron, intravenous iron, and/or recombinant erythropoietin. An individualized assessment of the thrombotic risk of discontinuing anticoagulant and antiplatelet medication should be balanced against the risk of perioperative bleeding. Neuraxial anesthetic techniques should be considered and minimally invasive surgery undertaken where appropriate. Cell salvage should be used if significant blood loss is anticipated and pharmacological treatments such as tranexamic acid and fibrin sealants have been shown to reduce blood loss. Point of care tests can guide the perioperative management of dynamic coagulopathy. Blood testing sampling should be performed only when indicated and when taken, sample volume and waste should be minimized. Restrictive blood transfusion thresholds and reassessment after single unit transfusion should be incorporated into clinical practice where appropriate. For PBM to become standard practice in routine surgical care, national health care quality change initiatives must set the agenda for change but the patient-centered approach to PBM should be delivered in a way that is also hospital centered. Characterization of the current practice of PBM at each hospital is crucial to facilitate the benchmarking of performance. Barriers to effective implementation such as lack of knowledge should be identified and acted on. Continuous audit of practice with a focus on transfusion rates and patient outcomes can identify areas in need of improvement and provide iterative feedback to motivate and inspire the main stakeholders. Ascent to high altitude is associated with physiological responses that counter the stress of hypobaric hypoxia by increasing oxygen delivery and by altering tissue oxygen utilisation via metabolic modulation. At the cellular level, the transcriptional response to hypoxia is mediated by the hypoxia-inducible factor (HIF) pathway and results in promotion of glycolytic capacity and suppression of oxidative metabolism. In Tibetan highlanders, gene variants encoding components of the HIF pathway have undergone selection and are associated with adaptive phenotypic changes, including suppression of erythropoiesis and increased blood lactate levels. In some highland populations, there has also been a selection of variants in PPARA, encoding peroxisome proliferator-activated receptor alpha (PPARα), a transcriptional regulator of fatty acid metabolism. In one such population, the Sherpas, lower muscle PPARA expression is associated with a decreased capacity for fatty acid oxidation, potentially improving the efficiency of oxygen utilisation. In lowlanders ascending to altitude, a similar suppression of fatty acid oxidation occurs, although the underlying molecular mechanism appears to differ along with the consequences. Unlike lowlanders, Sherpas appear to be protected against oxidative stress and the accumulation of intramuscular lipid intermediates at altitude. Moreover, Sherpas are able to defend muscle ATP and phosphocreatine levels in the face of decreased oxygen delivery, possibly due to suppression of ATP demand pathways. The molecular mechanisms allowing Sherpas to successfully live, work and reproduce at altitude may hold the key to novel therapeutic strategies for the treatment of diseases to which hypoxia is a fundamental contributor. Considerable controversy remains about how much oxygen patients should receive during surgery. The 2016 World Health Organization (WHO) guidelines recommend that intubated patients receive a fractional inspired oxygen concentration (FIO2) of 0.8 throughout abdominal surgery to reduce the risk of surgical site infection. However, this recommendation has been widely criticised by anaesthetists and evidence from other clinical contexts has suggested that giving a high concentration of oxygen might worsen patient outcomes. This retrospective multi-centre observational study aimed to ascertain intraoperative oxygen administration practice by anaesthetists across parts of the UK. A fundamental aspect of human physiology is its cyclical nature over a 24-h period, a feature conserved across most life on Earth. Organisms compartmentalise processes with respect to time in order to promote survival, in a manner that mirrors the rotation of the planet and accompanying diurnal cycles of light and darkness. The influence of circadian rhythms can no longer be overlooked in clinical settings; this review provides intensivists with an up-to-date understanding of the burgeoning field of chronobiology, and suggests ways to incorporate these concepts into daily practice to improve patient outcomes. We outline the function of molecular clocks in remote tissues, which adjust cellular and global physiological function according to the time of day, and the potential clinical advantages to keeping in time with them. We highlight the consequences of “chronopathology”, when this harmony is lost, and the risk factors for this condition in critically ill patients. We introduce the concept of “chronofitness” as a new target in the treatment of critical illness: preserving the internal synchronisation of clocks in different tissues, as well as external synchronisation with the environment. We describe methods for monitoring circadian rhythms in a clinical setting, and how this technology may be used for identifying optimal time windows for interventions, or to alert the physician to a critical deterioration of circadian rhythmicity. We suggest a chronobiological approach to critical illness, involving multicomponent strategies to promote chronofitness (chronobundles), and further investment in the development of personalised, time-based treatment for critically ill patients. We selected published guidance on sleep and shift work from the National Institute for Health and Care Excellence (NICE) and the Royal Colleges of Physicians and Anaesthetists. We then searched PubMed and Cochrane databases (to May 2017) for observational studies, randomised controlled studies, meta-analyses, and systematic and narrative reviews relating to the health consequences of shift work and for each proposed sleep intervention given in table 1. Priority was given to randomised controlled trials and meta-analyses, but given the interdisciplinary nature of sleep and shift work, and the overall quality of evidence, we also considered observational studies and grey literature from aviation and heavy industries, as well as published expert opinion.